IKEA pervades all design nodes with unusual partnerships. 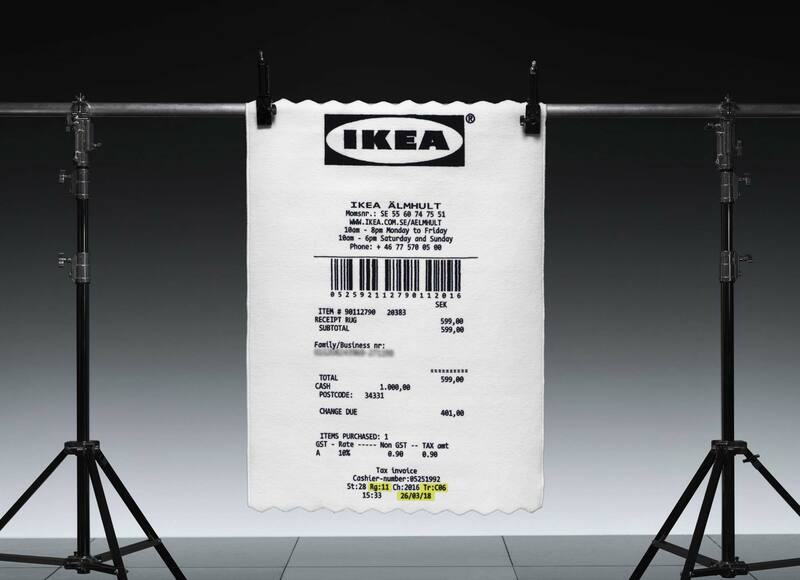 Pictured: Virgil Abloh’s Ikea receipt rug (Ikea). Live from Democratic Design Design Days in Älmhult, Sweden, IKEA announced new collaborations with a lineup of technology, design, and Internet of Things (IoT) companies. With the likes of Solange’s Saint Heron, Adidas, and Lego, new partnerships were pronounced as the new IKEA compadres, a sweet compilation of design furnishings and fixtures well beyond the typical build-it-yourself furniture it is known for. The union with auteur-esque artists and designers results in an outlandish and pleasantly unexpected mise-en-scene: an Ikea receipt rug by fashion designer Virgil Abloh, solar-powered lights by Olafur Eliasson, glass and ceramics by Per B Sundberg, and even a perfume by Saint Heron. 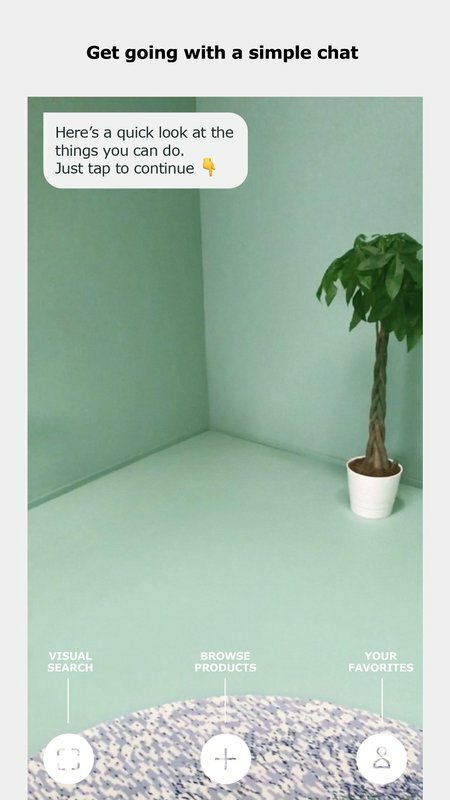 Ikea’s virtual reality app, IKEA Place allows users to digitally ‘place’ furniture in space (Courtesy IKEA). While many of these compilations remain in the R&D phase, IKEA still announced debuting projects: First, there was Olafur Eliasson’s project dedicated to creating solar lighting to communities that otherwise wouldn’t have access to such technologies. Then, there was Saint Heron’s “architectural and interior design objects with multifunctional use,” including the aforementioned perfume (we wonder if notes of birch will be included as ode to Scandinavian design and their preoccupation with the material). Also present were some odder alliances, including a 3D printing company that exclusively fashions custom prosthetics and an education company dedicated to e-sports. 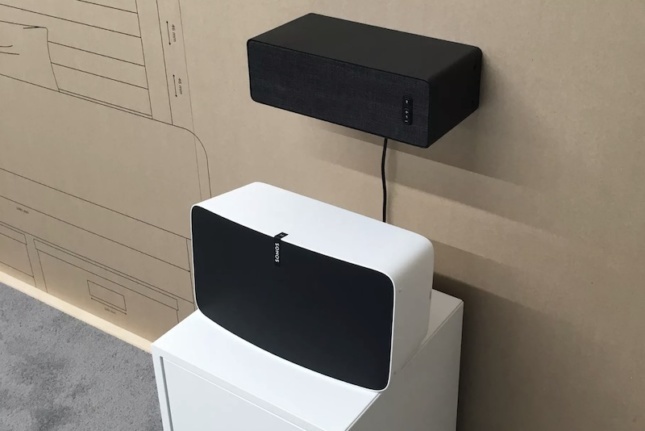 The Sonos x Ikea prototype, the Sonos Play:5 below the Symfonisk speaker attached to the wall above (Courtesy Ikea). Be that as it may, the Swedish multinational group has been, for a while now, elaborating their business model. Think about their forays into pet furniture, or augmented reality apps. There’s also more home and lifestyle products, like the Sonos audio system, as well as the limited edition art collabs. Of these synergistic relationships, we hope that they one day will become as viable and available as the Sladda bike (but not as low production as the belt drive, which was originally chosen over a conventional metal chain to avoid maintenance, but eventually broken in as little as one ride).